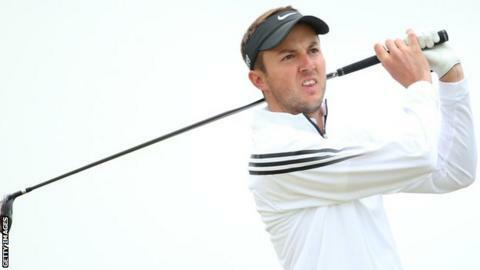 Ashley Chesters, who finished 12th at the Open Championship at St Andrews in July, is included in Great Britain & Ireland's team to face the United States in the 45th Walker Cup match. England's Chesters, 26, is joined in the 10-man team by Irishman Paul Dunne, joint leader of this year's Open after 54 holes before finishing joint 30th. GB & Ireland will be looking to win back the trophy they lost in 2013. The match will be played at Royal Lytham & St Annes on 12-13 September. Ireland have a record five players included in the home line-up as GB & Ireland look for only their ninth success in the biennial team tournament for amateur players, made up of foursomes and singles matches. The Walker Cup is played over two days with eight foursomes matches and 18 singles matches. All 10 players in each side play singles on the final afternoon. The winning target is 13½ points or 13 for the US to retain the trophy they won 17-9 two years ago. There are two Scots in the side, including Grant Forrest, who was runner-up in the Amateur Championship at Carnoustie in June. Welshman Nigel Edwards, who will be captaining the GB & Ireland team for a third time, said: "We have selected a talented group of players who compete at the highest levels of amateur golf and, in some cases, have played in Major Championships and Tour events. "The Walker Cup offers these players a tremendous opportunity to display their abilities and gain invaluable experience of playing in international team competition." Reserves: Ewen Ferguson (Bearsden, Glasgow), Bradley Moore, (Kedleston Park, Derbyshire).